This WXXI presentation showcases the completed Eastman Theatre and the Wolk Atrium. WXXI presents an encore broadcast of its New York Emmy nominated film Restoring a Masterpiece: The Renovation of the Eastman Theatre on Friday, March 13 at 9 p.m. on WXXI-TV. Produced by WXXI and Eastman School of Music and narrated by the late Philip Seymour Hoffman, Restoring a Masterpiece: The Renovation of the Eastman Theatre showcases the intricate renovation of a building that is itself a work of art. At the same time, it tells the story of the intertwined histories of the Eastman School of Music and the RPO, and demonstrates how a building can play a key role in the restoration of an historic downtown. 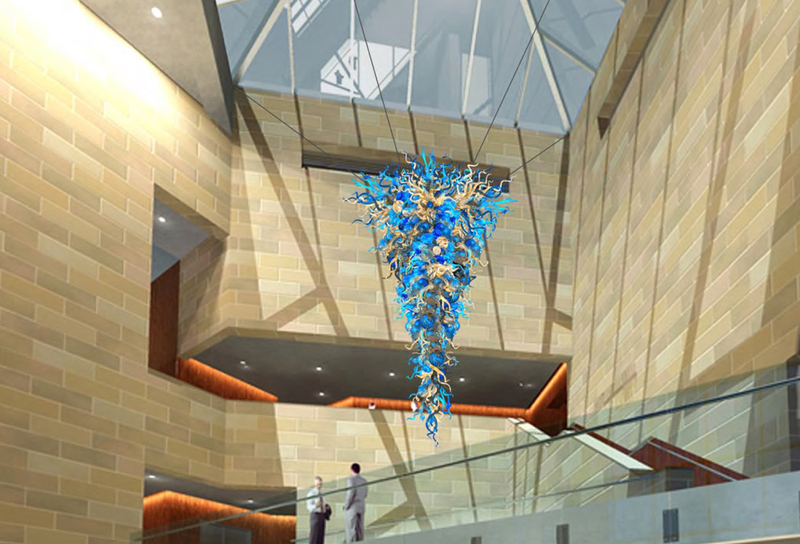 The Vision Realized, which airs immediately following The Renovation of the Eastman Theatre, is a companion film that highlights the completion of the new Wolk Atrium and Hatch Recital Hall, and the installation of the Blue and Gold Chandelier, a light reflecting glass sculpture commissioned for the atrium by world-renowned glass artist Dale Chihuly. The Vision Realized pays tribute to George Eastman's original vision for the school and theater space, a vision that has come full-circle with the renovation and additions. Rochester’s Eastman Theatre was built as a silent movie theatre in the years just before “talkies” changed the entire movie going experience. Yet “The Eastman,” as it is known locally, fulfilled a vision to be a center for arts and culture for the City of Rochester. It became home to a prominent music school and philharmonic orchestra. It launched careers, hosted stars, and stood the test of time. With its major renovation completed, the new Kodak Hall at Eastman Theatre is poised to be a jewel in the crown of a new downtown Rochester. Restoring a Masterpiece: The Renovation of the Eastman Theatre was made possible by support from The Pike Company, PAETEC, Louise Epstein, Keith & Betsy Wilson, and the members of WXXI.